Participants at the Power Purchase Agreement Workshop organized by the Pacific Power Association. NADI, Fiji. The Pacific Islands will need private sector investment in the energy sector to increase the contribution of renewable energy to the islands energy mix, reducing dependence on fossil fuel and addressing climate change. A good understanding of Power Purchase Agreements which is the principal instrument binding the investor and the power purchaser goes a long way towards a successful public-private partnership. 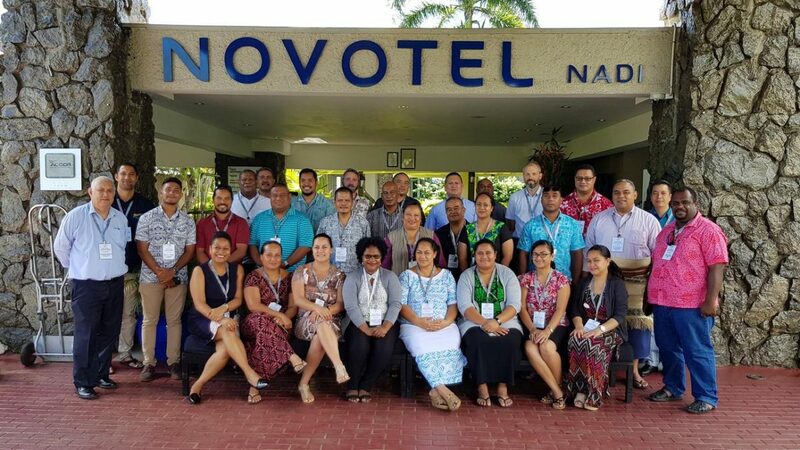 The Pacific Power Association through its World Bank grant financed Sustainable Energy Industry Development Project (SEIDP) is conducting a weeklong training workshop on Power Purchase Agreements. The workshop is supported by the Pacific Islands Centre for Energy Efficiency and Renewable Energy (PICREE) hosted by SPC. Power Purchase Agreements set out the rules of engagement on the technical, financial and operational aspects for Independent Power Producers (IPPs) and electric utilities. The participants taking part in the workshop are Chief Executive, Utility Board Directors, engineers, finance officers, electric utility regulators, legal and energy officials from Fiji, Federated States of Micronesia, Kiribati, Marshall Islands, Nauru, Palau, Papua New Guinea, Samoa, Tonga, Tuvalu, Vanuatu and Cook Islands. The training is in response to the members of the Pacific Power Association recognising the need to equip staff from its member utilities and other relevant stakeholders with knowledge and information to be able to evaluate and negotiate power purchase agreements that are beneficial to the utility customers and the private investor creating a win-win situation whilst also reducing our dependence on fossil fuels and addressing climate change.